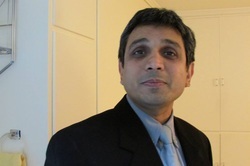 Ramesh Balasubramaniam is the Principal Investigator and director of the laboratory. Details about his background and research program can be found on the bio page. He may be reached at any of the contact numbers below and also through Twitter @RameshUCMerced. Chelsea joined the Cognitive and Information Sciences department as a PhD student in Fall 2013. She studies language and concepts, with a focus on discovering how concepts are formed and maintained in the brain, and how much of our conceptual knowledge can be traced back to the embodied and situated nature of cognition. Chelsea received her B.S. in Psychology from Michigan State University, with a specialization in Cognitive Science. She worked with Issidoros Sarinopoulos in his Social and Affective Neuroscience laboratory, learning to use fMRI and exploring the intersection of pain processing and social factors. Upon graduating from MSU, her interest in language and embodiment led her to work with Sarah Anderson at University of Cincinnati’s Center for Cognition, Action and Perception, in studying whether changes in the sensory aspects of concepts will also change how concepts are activated in the mind. Butovens joined the laboratory in Fall 2014 as a PhD student in Cognitive & Information Sciences. He graduated from City College of NY with an individualized specialization in Cognitive Neuropsychology and Sound design. At CUNY, Butovens was the recipient of the prestigious Thomas W. Smith Academic Fellowship. He also won an NSF Research experience for undergraduates (REU) award that earned him an opportunity to work with Michael Riley at the University of Cincinnati.Butovens's research interests lie in the intersection of music cognition, movement and neuroscience. Daniel is a PhD student in the Cognitive and Information Sciences program as of the Fall of 2015. He graduated from the University of Wisconsin-Stout with a B.S. in Cognitive Science. At UW-Stout he studied lie detection and the effects of head impacts on adolescent football players. Daniel is interested in interactions between higher-order cognition, motor control, and perception. Daniel has a background in EEG and related electrophysiological techniques. Shannon started her PhD at UC Merced in Sept 2018. Her interests are in music cognition, embodiment, interpersonal dynamics, and emotion. Shannon has a Master's degree from University of Edinburgh, Scotland and a Bachelor's degree in music from Texas A & M, Corpus Christi. Alexandria is a PhD student in Cognitive & Information Sciences working with Dr. Balasubramaniam. Alex is interested in the relationship between motor learning and memory. In particular, she is interested in the possible interaction and differences between declarative and procedural memory in the context of aging, and in individuals with degenerative neurological disorders. Jessica completed her Ph.D. in Cognitive and Information Sciences at the University of California, Merced, in Aug 2018. 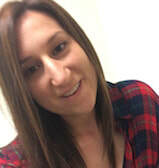 Jessica Ross received two B.A.s in Music and Italian Studies from the University of California, Davis, where she focused on individualized and cultural perception of music and language. She also has a passion for neuroscience and has an A.S. in Biology and an A.A. in Psychology from Sacramento City College. At the UC Davis Center for Mind and Brain, Jessica worked for Petr Janata studying audition in healthy adults and effects of music therapy on patients with advanced Alzheimer’s disease. At the UC Davis Center for Neuroscience and U.S. Department of Veteran’s Affairs, Jessica worked with Elizabeth Disbrow studying cognitive deficits in people with Parkinson’s disease. After a short stint as an NSF funded Project scientist at UC Merced, Jessica will be joining Alvaro Pascual-Leone's group at Harvard Medical School as a post-doctoral fellow in November 2018. A full list of her publications can be found on her website. Kjerstin Torre was a post-doctoral fellow working with Ramesh Balasubramaniam in 2009. Kjerstin is an expert on the application of long-range correlations to problems in motor control and cognition. She is a presently a Faculty member at the University of Montpellier, France. Kjerstin is the author of over two dozen papers on the topic of long-range correlations and variability in human cognition. Tyler Cluff finished his PhD in Neuroscience at McMaster (2011), working with Ramesh Balasubramaniam and Tim Lee. 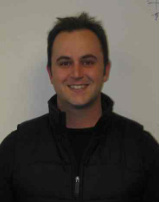 He is presently a post doctoral fellow at Queen's University, Canada working with Steve Scott. Tyler is interested optimal feedback control, control of unstable objects, upper limb motor control and is also trained in biomechanics. He has published extensively in leading scientific journals and has held the prestigious Alexander Graham Bell doctoral scholarship and an NSERC Post-Doctoral award. Bree Studenka was a post-doctoral fellow working with Ramesh Balasubramaniam in 2010-2011. She earned her PhD at Purdue University working with Howard Zelaznik. After a stint at Penn State with Karl Newell's group, she is now an Assistant Professor at Utah State University. Bree works on problems in motor timing and coordination. She has published in leading journals in the areas of Experimental Psychology and Human Performance. Mike Hove earned his PhD at Cornell University where he worked with Carol Krumhansl and Michael Spivey. After a stint at the Max Planck Institute in Leipzig working with Peter Keller, Mike worked with Ramesh Balasubramaniam and Laurel Trainor at McMaster (2012). He is presently a research fellow in psychiatry at Harvard University/Mass General Hospital working on timing deficits in individuals with ADHD. Mike has a wide range of interests in diverse areas including sensorimotor synchronization, social coordination and neuroimaging. He also has a research program in studying altered states of consciousness in Shamans! Amanda finished her PhD at McMaster University, where she worked with Ramesh Balasubramaniam (& Jim Lyons) on the role of somatosensory feedback in force control and speech. Amanda is presently a post-doctoral fellow at the Kennedy Krieger Institute at Johns Hopkins University with Amy Bastian. Amanda has published extensively in journals like Journal of Neurophysiology, Neuropsychologia, Neuroscience Letters, Experimental Brain Research and PLoS ONE. Heather McGregor (Class of 2011, now with Paul Gribble's group at UWO). Details about other lab personnel will be updated shortly.